This 47,000 square foot, two story building is part of a 35 acre mixed-use development. The site has been master planned and will include additional medical office, assisted living, general office and retail uses. The building was completed in May 2007 and is owned by principals of US Federal Properties Co. 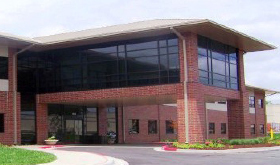 The building is occupied by three family practice groups along with other medical offices and specialty groups. US Federal Properties Co. was selected as the development agent and was responsible for land acquisition, development, leasing and management as well as an ownership partner on the medical office building, land and the retail building.